The Headless Horseman rides again! 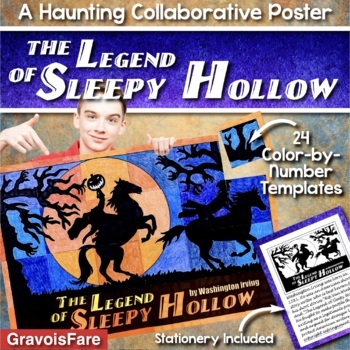 Your students will lose their heads over this frightfully fun cooperative learning project as they create a beautiful collaborative poster of The Legend of Sleepy Hollow by Washington Irving. Decorating your classroom has never been easier, and writing about Ichabod Crane's adventures has never been more fun! Students will love working together to create this colossally cool collaborative poster. 24 color-by-number, 7.5-inch tiles of paper join together to create a giant 45-inch by 30-inch poster that features the Headless Horseman chasing Ichabod Crane. You’ll also get two stationery templates on which students can write about Washington Irving's classic masterpiece. 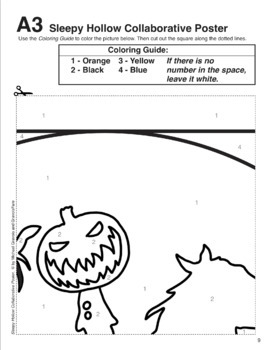 And as a bonus, you’ll get Legend of Sleepy Hollow Coloring Page which is perfect for students who finish early. 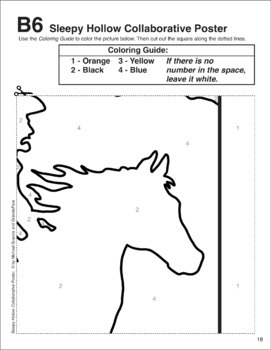 Or you can send it home for students to color in the free time. Click here to follow my store to be notified when new products are released. • 24 ready-to-go, color-by-numbers templates. 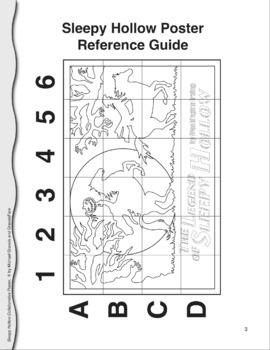 Each template features a 7.5-inch square that, when assembled together, create a 45-by-30-inch poster. • Check out the preview to see more detail on this product. TUCK EVERLASTING BUNDLE: Buy the Bundle and Save!